Hailee Bland-Walsh has long been an activist in the LGBTQ community. Though she has shut down traffic marching in San Francisco, it was the Women’s March in Washington, D.C., in January that was one of the “most transformative” experiences she’s had. The march, and others like it around the country, came about as participants sought to counter what they viewed as a negative tilt among public opinion, but some worried that the post-election fervor would fade. That doesn’t appear to be the case in the metropolitan area, with at least one new group forming with the past few weeks, and others continuing to slog through the nonsexy organizational tasks needed to give them the staying power they want. Most of the women who planned Kansas City’s Women’s March, including Mahnaz Shabbir, were experienced community activists. But Shabbir said the election was a wakeup call. 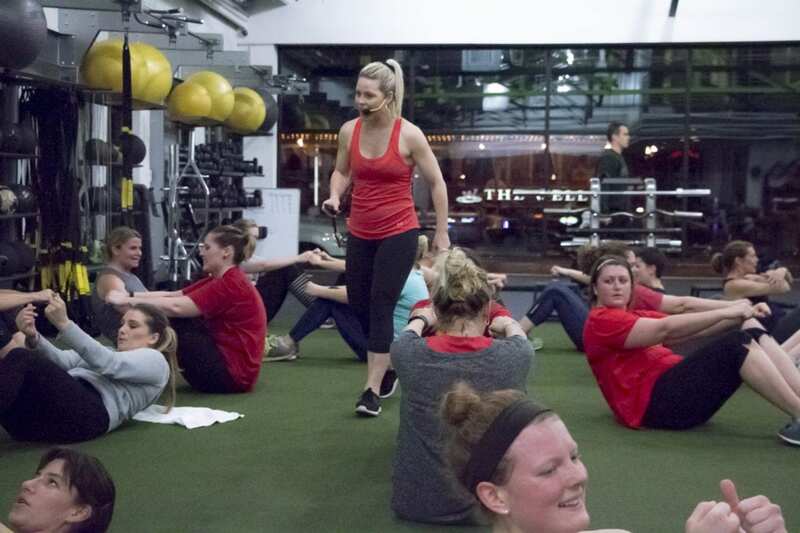 The participants realized they would need to combine their causes – LGBTQ equality, immigrant and women’s rights, reducing poverty and religious discrimination – to advance the movement as a whole. Bland-Walsh said she is fielding inquiries about ways to help not only from activists, but also from political neophytes. Shabbir, a strategic planner by day, said the Women’s March organizers are working on establishing a name for the group along with developing guiding principles and strategic objectives. They plan to work with other women’s groups on education and activism around election cycles in 2018 and 2020. The Tea Party, which emerged as a conservative political force in the early 2000s, built its power base through a hyper-local approach. And in reaction to President Trump’s election, a group of former congressional staffers published a guide on how the left can use Tea Party tactics to advance a liberal agenda. The group is called Indivisible, and the counter-movement has been dubbed the “Herbal Tea Party.” Their tactics include showing up at town halls and other public events and calling, hosting meetings or organizing sit-ins at congressional offices. Emily Riegel, lead organizer with Indivisible Kansas City, said the group has focused on making it easy on people to participate — they do the organizing and ground work, allowing people to simply show up at events or make calls. But as Indivisible KC moves forward, they plan to step back from group events (like protesting at the office of GOP U.S. Sen. Pat Roberts) to focus instead on helping people engage on their own. “The big part is figuring out what are going to be effective, sustainable actions and causes we can start pulling people toward,” Riegel said. Indivisible KC plans to identify major pieces of legislation to target. And the group wants to take aim at parts of the system that tilt power in favor of incumbents. In Kansas, it’s voter registration laws, and in Missouri it’s campaign finance reform and gerrymandering. Pulling back from some of the major protests is a smart idea, say some Republicans. Kristen Blanchard Ansley, acting executive director of the Missouri Republican Party, said speaking out is a great gift afforded to Americans, but events like the inaugural protests are becoming problematic for Democrats. Raucousness is certainly not the mission of Jewish Voices United, a newly formed, non-partisan coalition of Jewish congregations and organizations aimed at aiding minorities and combating discrimination. The idea rose out of a deep concern with the increase in hateful acts and negativity toward refugees, said Don Goldman, executive director of Jewish Family Services. Goldman said many members of the group can identify with being in a new country, since many Jewish families have relatives that were at one point refugees. For instance, Jewish Family Services is opening its food pantry to refugees being served through Jewish Vocational Services. And, the Jewish Community Center is working with different racial and ethnic groups to create art and conversations. The mission of the group reflects the Jewish value of welcoming strangers, which is also a central theme in the Passover holiday, which begins this evening. “This is Jewish agencies and congregations living their values,” Goldman said. There has been no shortage of tumult since the American Friends Service Committee, a national Quaker organization, formed to help conscientious objectors serve their country during World War I. It has since become an interfaith group promoting issues like economic development, food security and nuclear disarmament. Yet the environment that fed the Trump election has spurred even this 100-year-old organization to consider some new tactics. 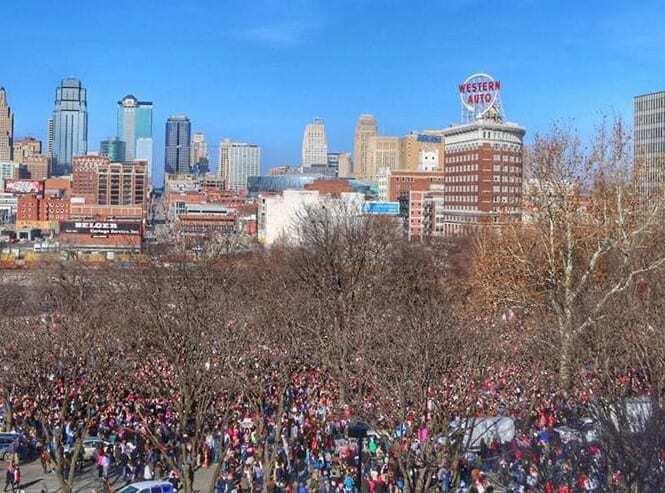 Much like the Women’s March organizers, AFSC Kansas City is stepping up its efforts to support other groups with similar missions and concerns, said Program Coordinator Ira Harritt. Their goal is to become a clearinghouse, offering support and facilitation as organizations collaborate. In essence, they want to create a structure for activism. Though Harritt has seen many new organizations come forward since Trump’s election, he said they don’t see themselves as simply responding to the administration’s policies. Rather, they are working to use the momentum created to get more people speaking up and participating in democracy.